I'm not sure how Sulli ruined it when "he went", seeing as he was traded. Two 2nd rd picks isn't bad either. Then again, you could always go with Reto Von Arx! 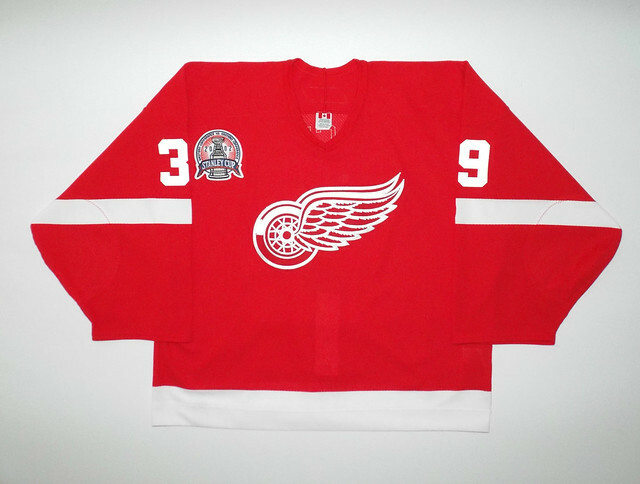 Much like Chelios going to Detroit, they are tarnished for me. 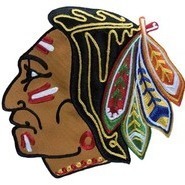 And that video Tom posted is exactly what I was talking about, man, the Hawks had a lot of good players on that team. I even saw Enrico Ciccone wasn't he Madonna's cousin? Funny. Just saw this on FB. Guess someone likes the guy. Wait, what? Players actually wore 48s? Those things are tiny! 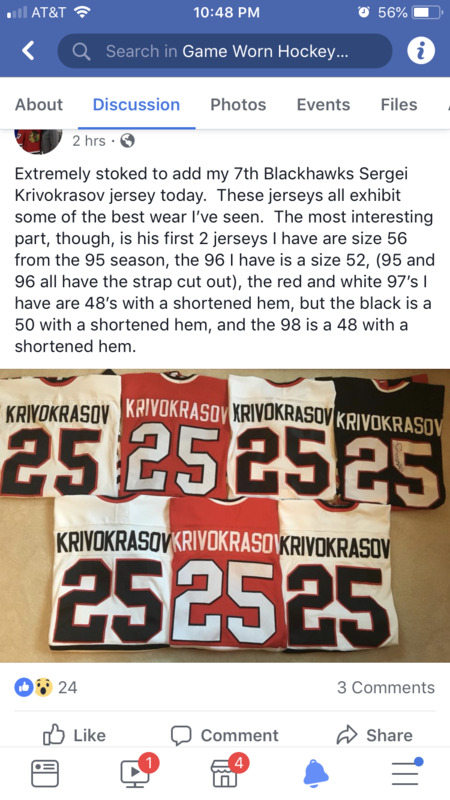 What the hell...... so he went from 56 to 48 , and with a shortened hem? Guy was literally shrinking ! I got an Alexander Salak Icehogs game used jersey the other day. 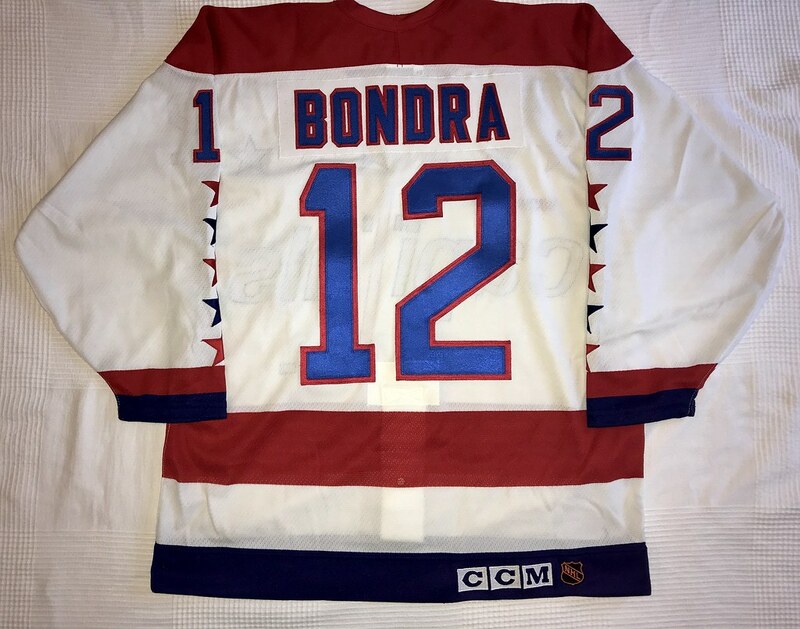 I thought it would be pretty interesting jersey to own even though he never would have played for the Hawks. I also got it for super cheap. 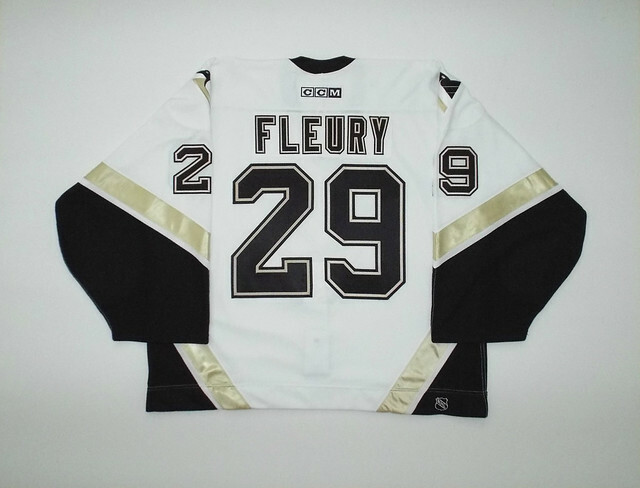 And since it's a goalie Jersey, I thought it was even cooler reason to buy it. I might take the time to remove the autographs, but it'll be tough to also got remove the park marks as well. I was able to photo match it. If you look at the last picture in the gallery, you can see to the upper right of the icehogs logo a circular black markings. I'll remove them, I swear! 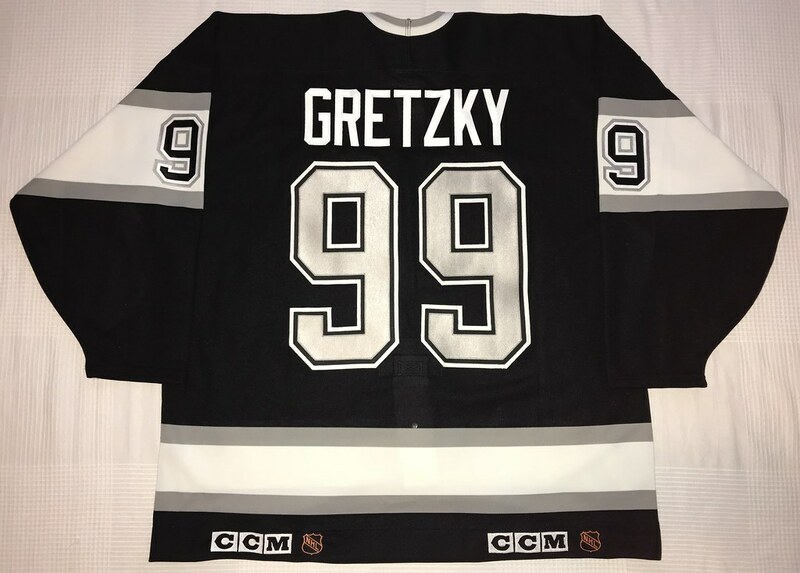 You are going to in-sign a team signed jersey? Curious to see the results. Curious to see the results. And that's how I responded. @thebiggoalie I might take the time to remove the autographs, but it'll be tough to also got remove the park marks as well. 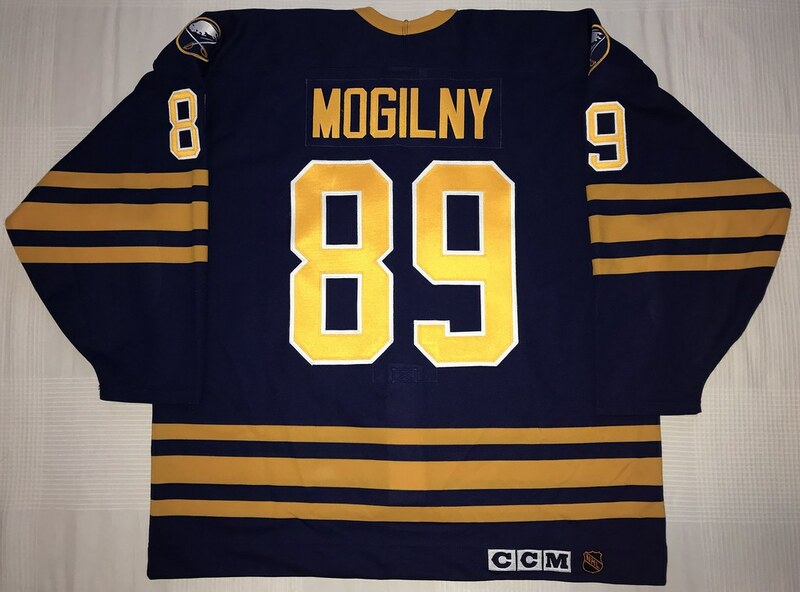 Nice Mogilny, i need one of those styles. One new pickup and one project. 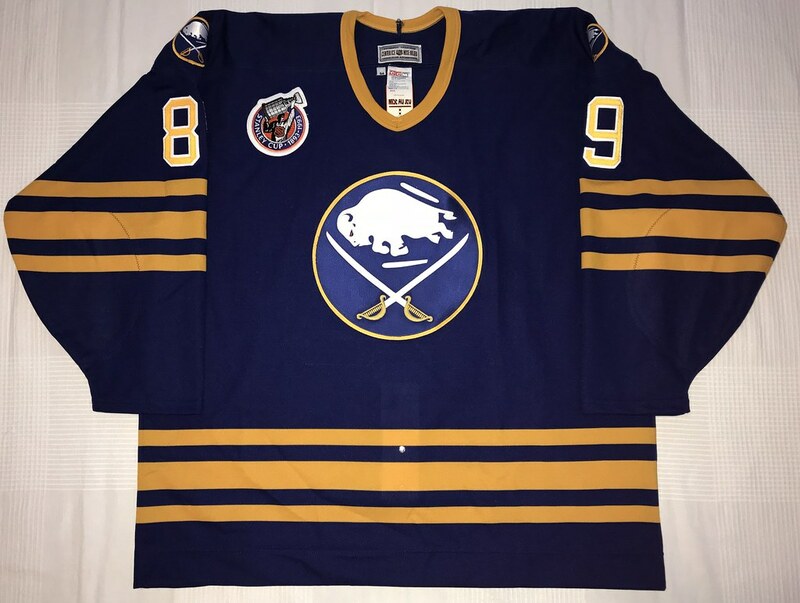 I'm hoping someone can chime in with help on this jersey. 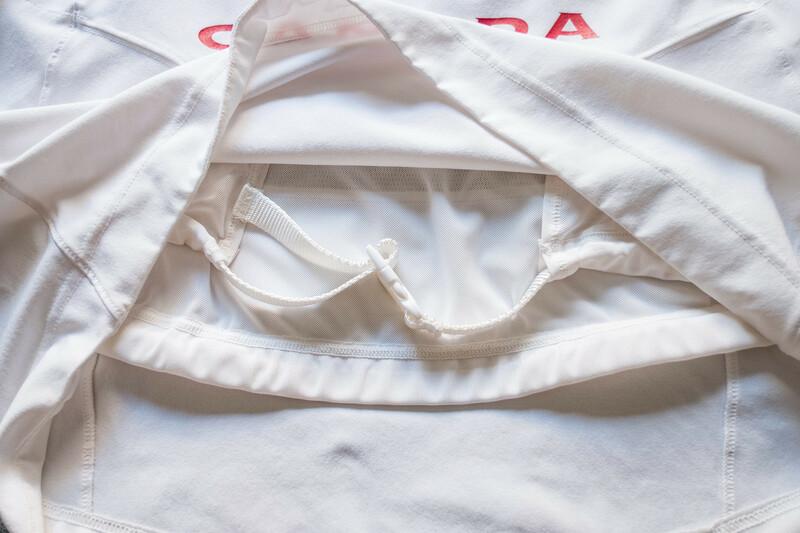 Canada practice jersey using the belt style fight strap. Think they only did this for one or two years. 2006-ish? 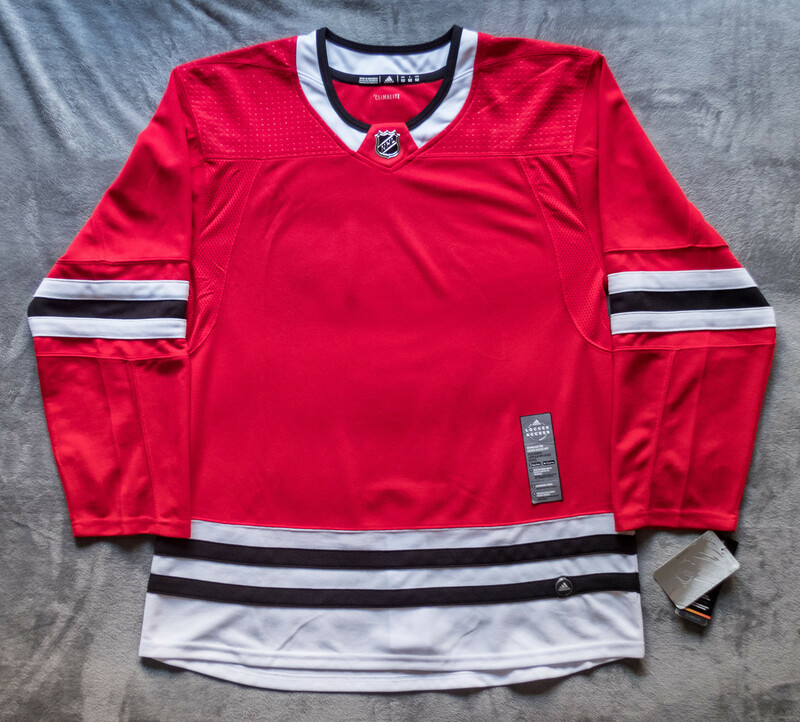 This is my first swift style jersey and I have to say; I love it!! The shoulder material feels really soft inside and the body has a craaaazy amount of stretch! The collar and wrists are made of the thinnest mesh I've ever felt. Can't imagine these things holding up to more than a game or two. 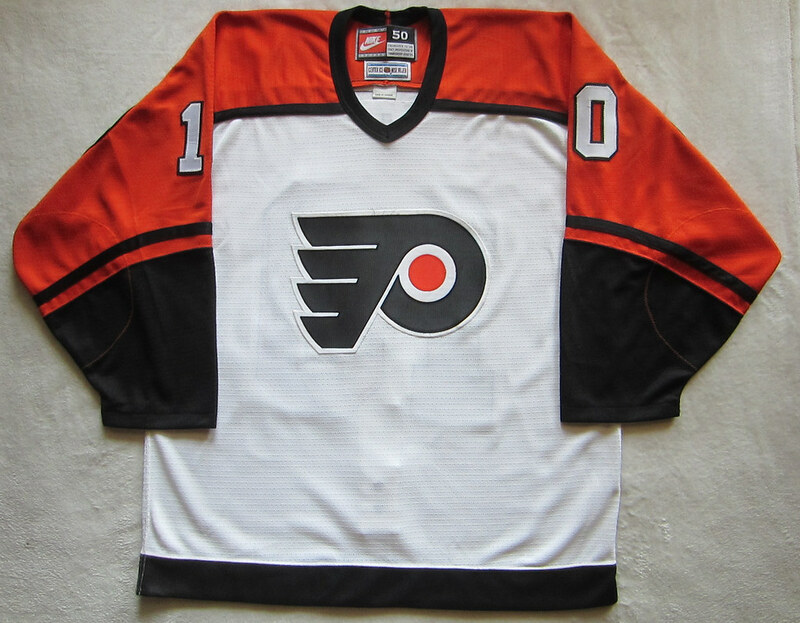 Originally bought it to use as a practice jersey, but size 56 fits me like a Reebok size 50. I was able to stretch it on over pads, but it looked more like I was wearing a wet suit it was so tight. 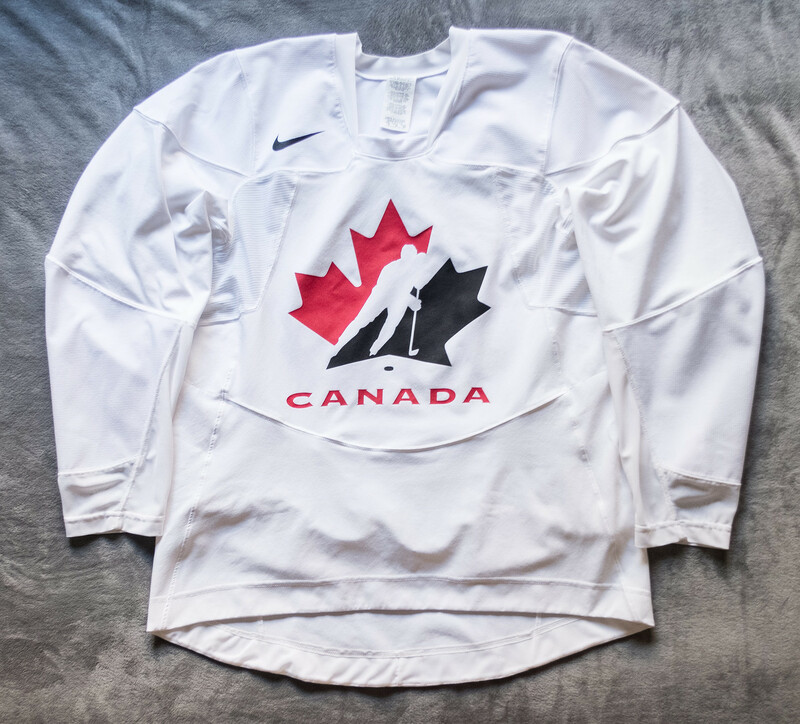 Have no use for a Canada jersey otherwise so I guess I'll be selling it. 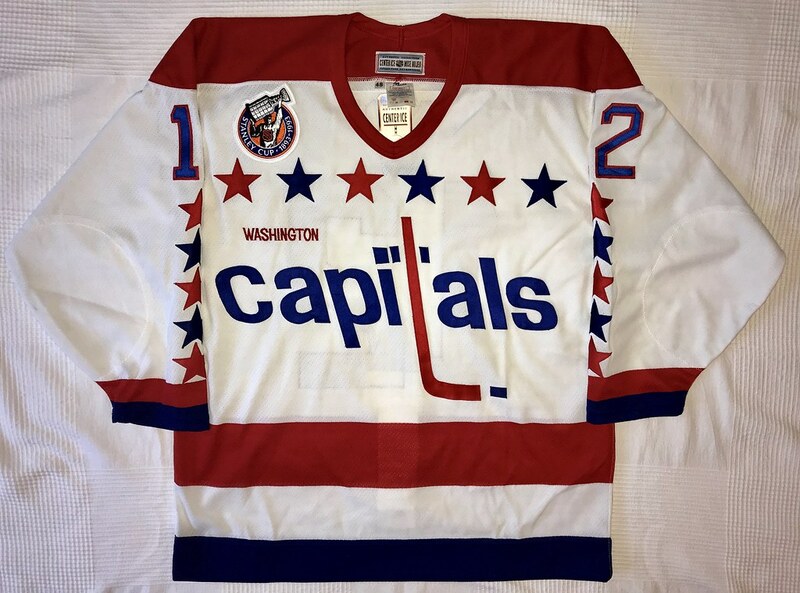 Now more than ever I want to find one of these jerseys to actually practice in! Finally getting back into posting my new arrivals. 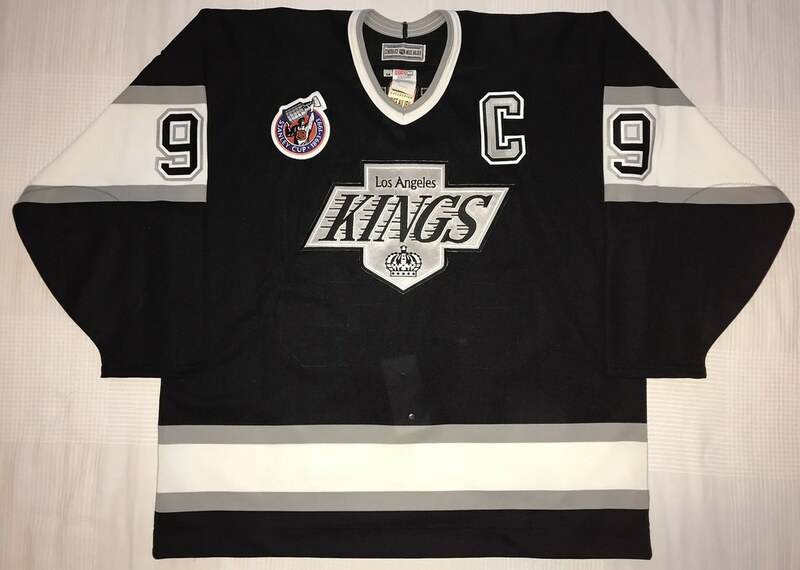 Got this one in last night; Sheldon Souray 1997/98 white playoff set game worn jersey. Overall has light wear but does have what appears to be dried blood stains on the right sleeve. 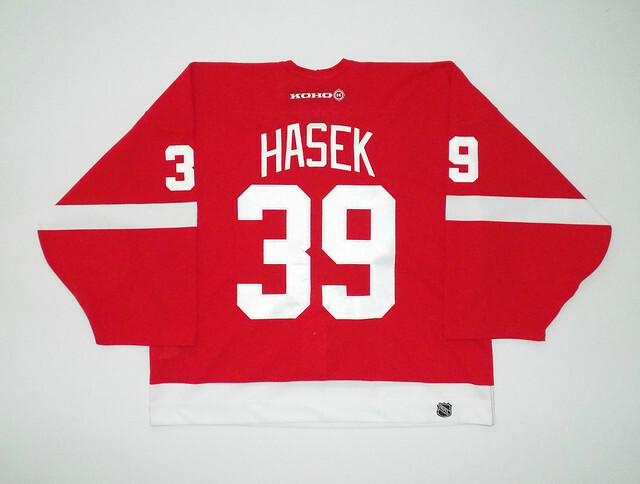 The jersey is also a size 60 so it's friggin huge. 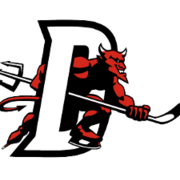 A Devils #3 without Dano looks so wrong!! But a nice piece of history. 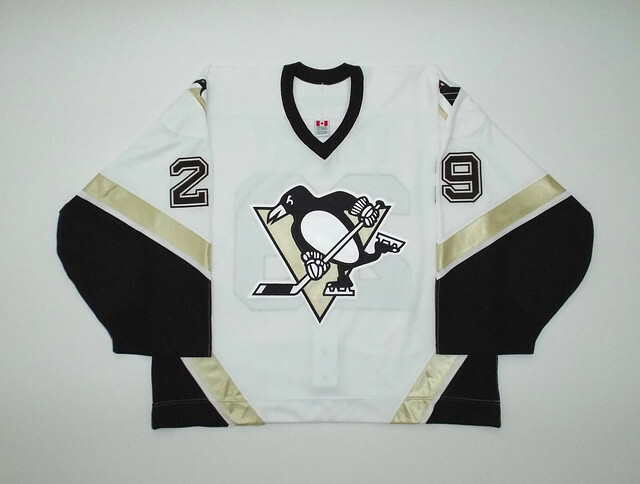 Looking at that is exactly why I do NOT collect game worn jerseys. So gross, which I know makes it even better for you gamer collectors. The Souray is crazy. Size 60? 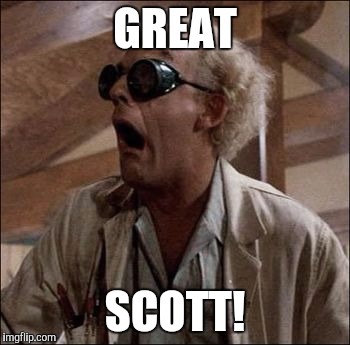 I’ve never seen another. You could host parties inside that thing. I don’t remember Souray being THAT big, but I know some guys wore their jerseys oversized back then. 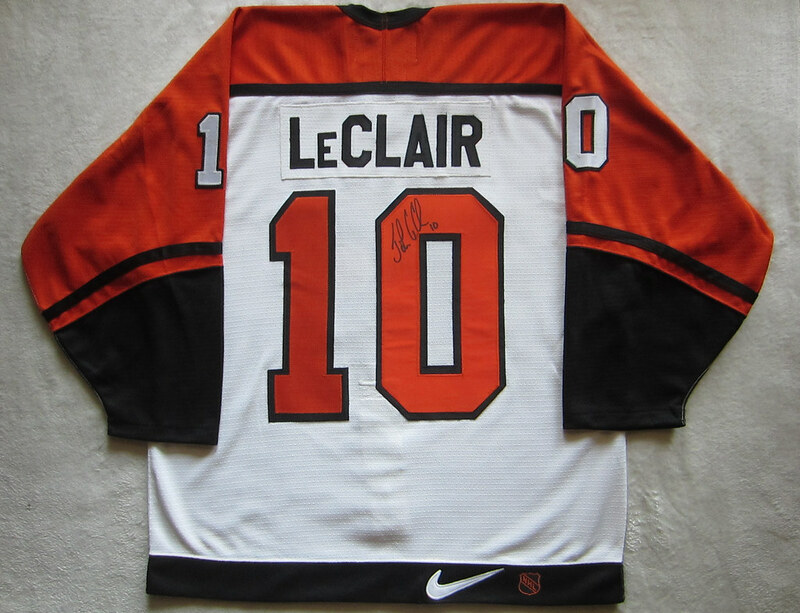 Nice LeClair! Haven't seen many size 50 Nikes floating around. That's a TI jersey.